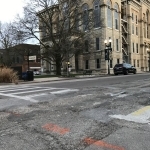 A contractor will repair a sewer at LaSalle and Madison streets in Ottawa Tuesday, April 16 and possibly Wednesday. That’s going to require lane closures on both streets. City Engineer Dave Noble says for LaSalle St., just one of the three driving lanes will be open. Madison St. will be one-way going west. Expect this from 8am to 4pm each day of repairs. There are also parking restrictions in the area. Noble says the repair’s an emergency because the sewer is collapsing and sinkholes are forming in the highway. That’s why notice was short. 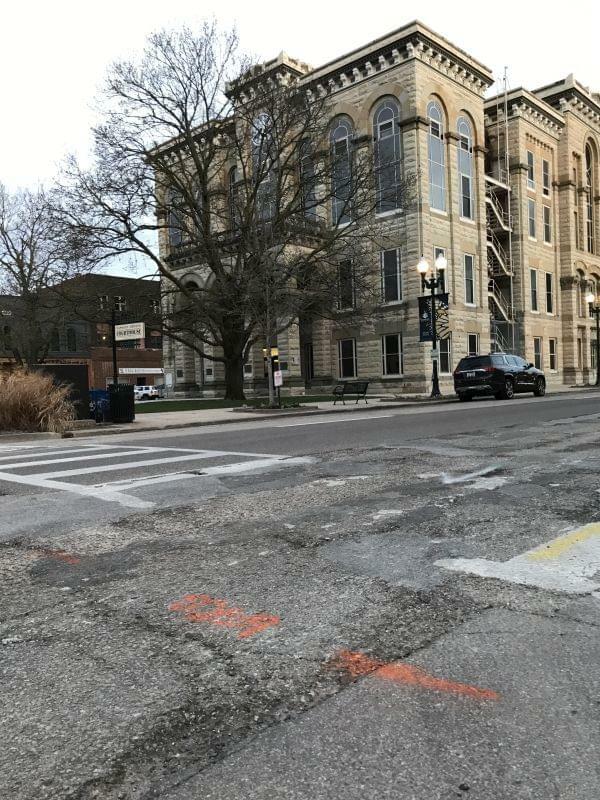 Ottawa City Engineer Dave Noble says a collapsing sewer is likely the reason for LaSalle St. deteriorating near the courthouse.